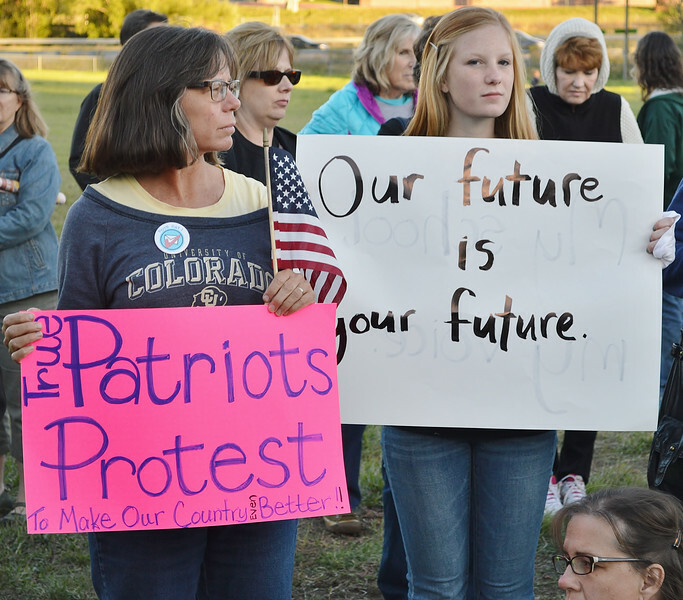 Students of all ages as well as parents, teachers and suppporters from the community, rally and march to protest the Jefferson County (Colorado) School Board's proposed changes in the school district's history curriculum. Images Include demonstrators marching with signs and banners, parents and children marching together. Woman at school board demonstration holds American flag and sign "True Patriots Protest", next to her young girl with sign "Our Future Is Your Future".